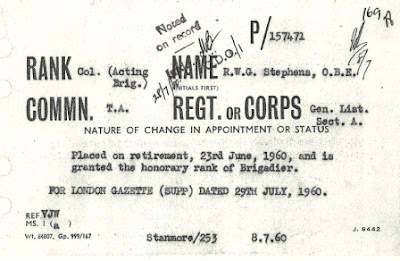 A few weeks back, I ordered the Army Personnel Record for Robert/Robin William George Stephens, former Commandant of MI5's wartime interrogation centre, Camp 020. I've discovered quite a bit about Stephens through other sources, but his date of death still eludes me. Given that Hinchley-Cooke's Army file noted his death, I had hopes that Stephens' file might reveal the same. Alas, not so. The records provided by the Army Personnel Centre for Stephens lack any family information and are generally notices of his promotions and/or assignments. A few tidbits of information came to light. Stephens name is listed as Robin William Granor Stephens - not sure why given that his middle name was definitely George. Searching for the death of a Granor Stephens has yielded no results so far. 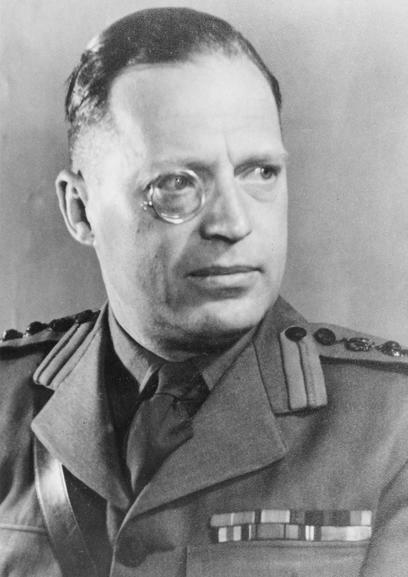 Stephens was granted an OBE (Civil) on 1 January 1946. Even with that firm date, the actual notice in the Gazette still eludes me. Stephens regimental number was 157471. This bit of information allows one to search through Gazette listings by his regimental number. 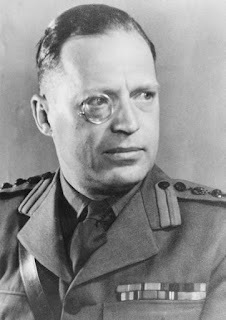 Around 1954, Stephens was appointed Commander (Brigadier) of the Port & Travel Control Group, an intelligence unit that inspected Warsaw Pact ships which docked at English ports. He apparently held this position until his retirement in 1960. From 1957 to 1960, notices sent to Stephens were addressed to 18 Cadogan Gardens, Chelsea SW 3, London. Colonel H.F. Hinchley-Cooke [likely our friend W.E. Hinchley-Cooke] formed the Port and Travel Control Group under the operational control of MI5 of about ninety former Corps, their targets being Warsaw Pact ships and lorries arriving at Dover and other ports. Initially located at the Duke of York's Barracks, Chelsea, the Group later moved to the sumptuous accommodation of the former Turkish Embassy at 18 Cadogan Gardens. (page 206). Interesting that Stephens would have been working in the same building (Duke of York's Headquarters/Barracks) where Josef Jakobs had been court-martialed. As for the information provided by the Army Personnel Office, the notices in Stephens' file all bear folio numbers - e.g. 131B, 135A, 137A, 149A, 157A, 163A, 169A. One naturally wonders where the intervening and preceding folios might be. Perhaps the above ones were extracted from a different file, for example, the Port & Travel Control Group. Hard to say. I do tend to wonder if MI5 has files on all of their officers which it has simply chosen not to declassify. Unfortunate. It would be nice to lay Stephens to rest!